It can’t be denied that the release of the Nintendo Switch will be one of the major events in the video game world this year, as the Japanese company will be looking forward to leave their ill-fated Wii U console behind and once again try to become a leader in the console world with the Switch. And certainly the Switch, which is a console and handheld hybrid, will be one machine to look forward to this year, so here follow the top things to know about Nintendo’s eagerly awaited console. As Nintendo revealed in its launch presentation for the Switch on January 13, the console will be hitting the shelves this spring, on March 3 to be exact, in the US, Japan and major European countries, plus other territories. And Nintendo’s upcoming machine is already proving to be popular, as it’s sold out in some US retailers already. Regarding the price, the Switch will be priced at $300 in the US when it is released later this year. The Nintendo Switch package features the console itself, the Switch Dock, a pair of Joy-Con controllers, Joy-Con wrist straps and the Joy-Con Grip, plus the mandatory HDMI cable and AC adaptor too. Regarding the accessories which will be available for the Switch, there will be a Pro Controller and a Charging Grip for the Joy-Con controllers, plus it will also be possible to buy a replacement Switch Dock and new Joy-Con controllers too. Given that the Switch is a handheld and traditional console hybrid, there will be quite a few ways to play with the unit, and this will clearly be the console’s main differentiating factor too. 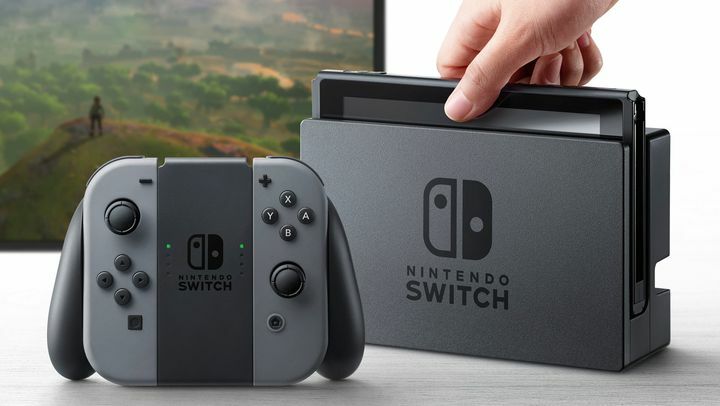 For starters, the console can be inserted in the Switch Dock in order to play games on a TV at 1080p resolution like you would with any other console on the market now. In this usage mode, the console’s Joy-Con controllers can be connected to the Grip accessory (see image above) for a more comfortable gaming experience. 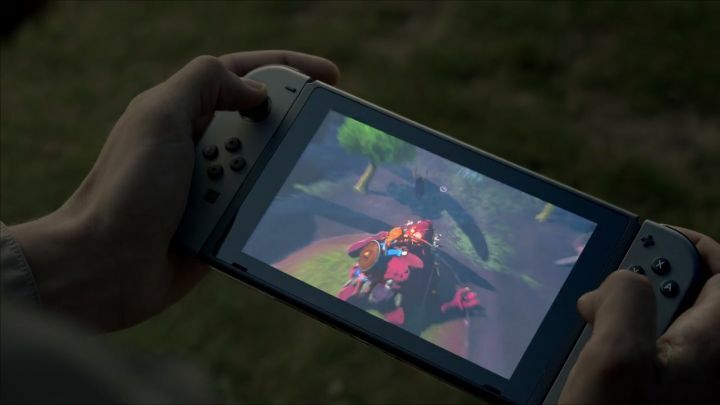 The Switch can also be used in handheld mode with the Joy-Con controllers attached to its sides, with games being played on the Switch’s own 720p screen, although they won’t look or run as well as in the aforementioned TV mode. There’s also the console’s “tabletop mode”, in which you set up the Switch on any flat surface using its inbuilt kickstand, and detach the Joy-Con controllers to play games either solo or with another player too.